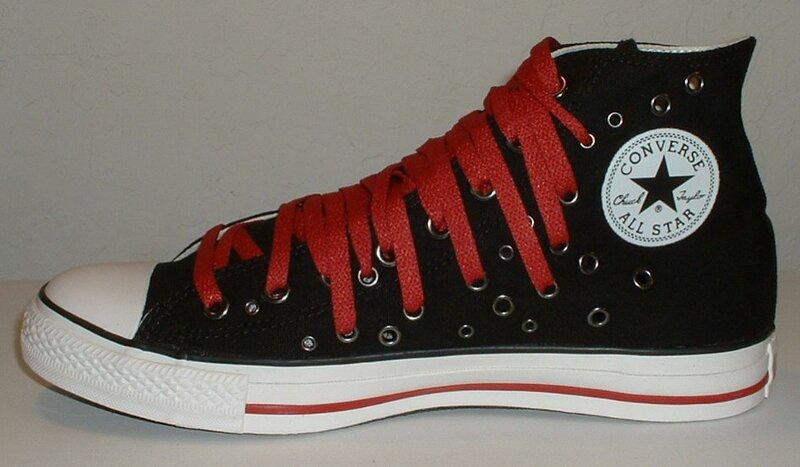 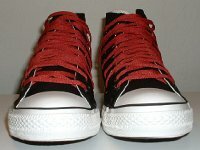 Photo gallery of black and red multiple eyelet high top chucks. 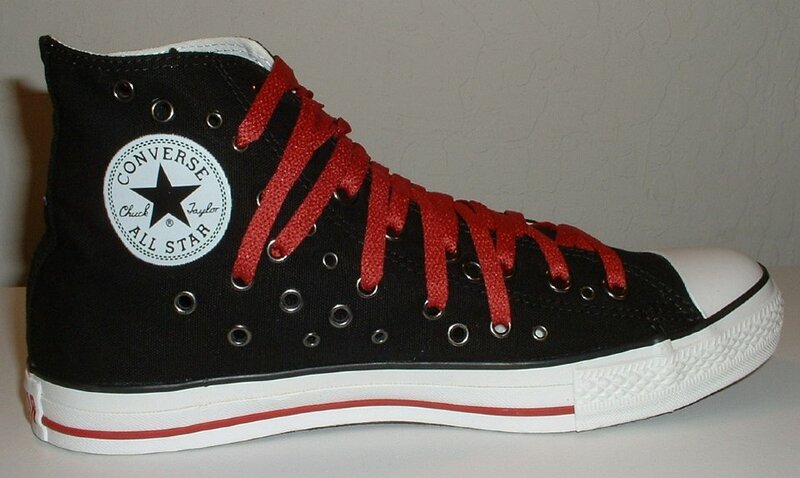 1 Black and Red Multiple Eyelet High Top Chucks Inside patch view of a right black and red multiple eyelet high top. 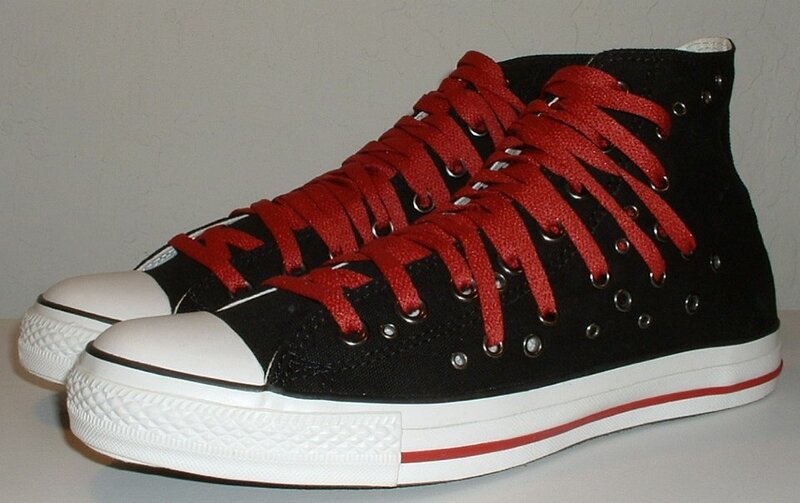 2 Black and Red Multiple Eyelet High Top Chucks Outside view of a right black and red multiple eyelet high top. 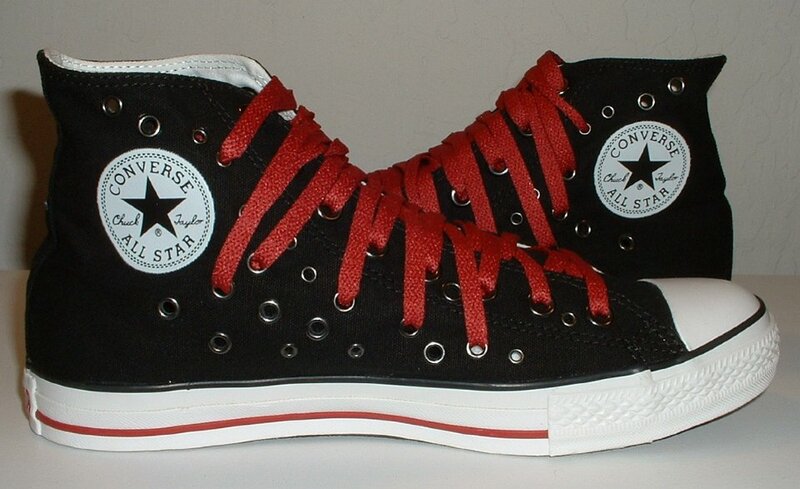 3 Black and Red Multiple Eyelet High Top Chucks Inside patch view of a left black and red multiple eyelet high top. 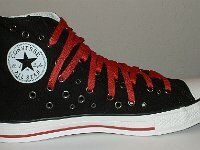 4 Black and Red Multiple Eyelet High Top Chucks Outside view of a left black and red multiple eyelet high top. 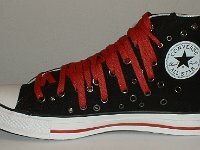 5 Black and Red Multiple Eyelet High Top Chucks Rear view of black and red multiple eyelet high tops. 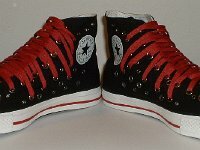 6 Black and Red Multiple Eyelet High Top Chucks Front view of black and red multiple eyelet high tops. 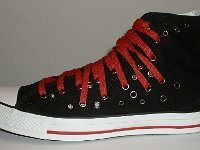 7 Black and Red Multiple Eyelet High Top Chucks Top view of black and red multiple eyelet high tops. 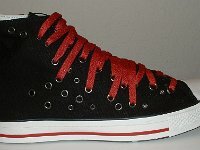 8 Black and Red Multiple Eyelet High Top Chucks Angled front view of black and red multiple eyelet high tops. 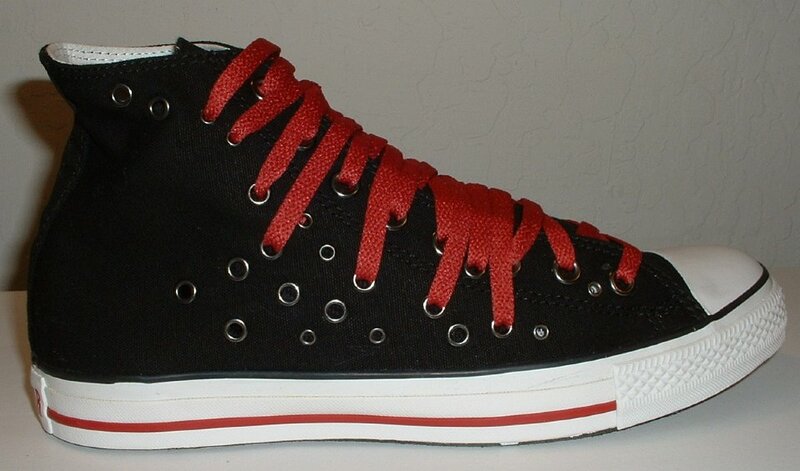 9 Black and Red Multiple Eyelet High Top Chucks Angled side view of black and red multiple eyelet high tops. 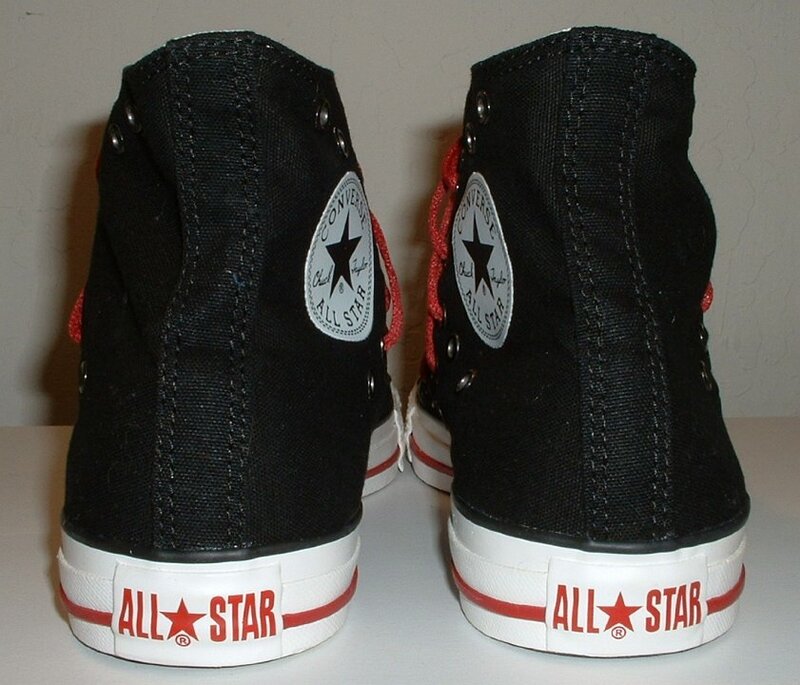 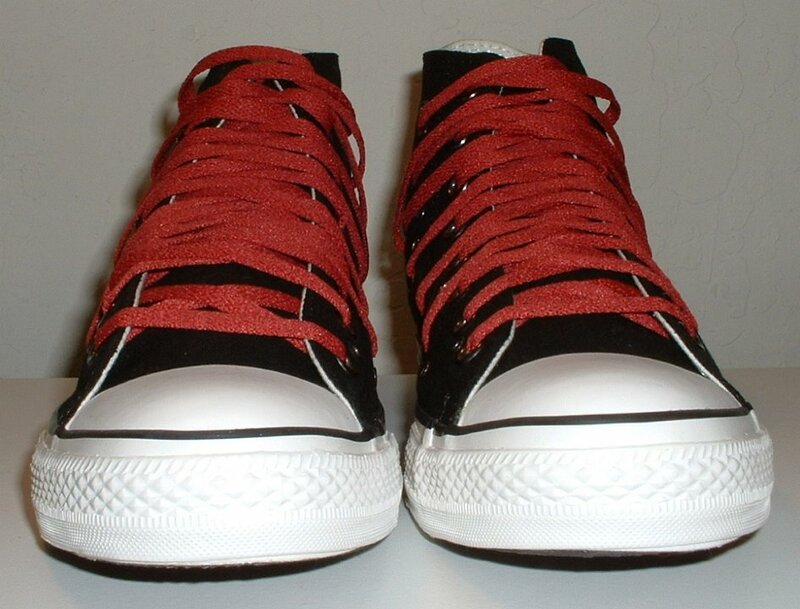 10 Black and Red Multiple Eyelet High Top Chucks Inside patch views of black and red multiple eyelet high tops. 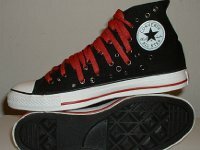 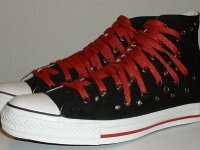 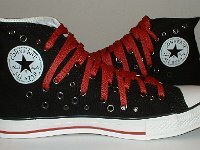 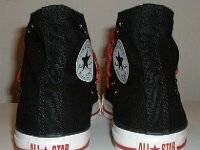 11 Black and Red Multiple Eyelet High Top Chucks Inside patch and sole views of black and red multiple eyelet high tops. 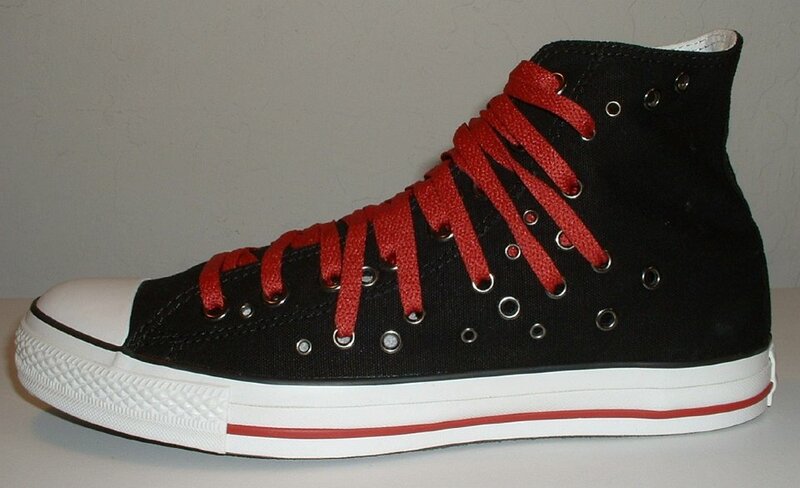 These high tops have black canvas outsides with mulitple eyelets all over the canvas. 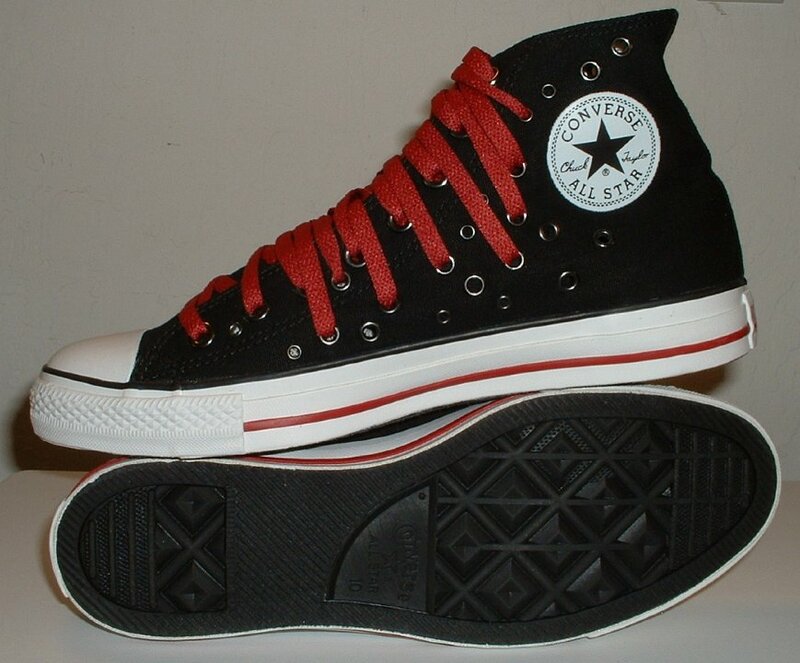 They have red and black piping and a red and white heel patch. 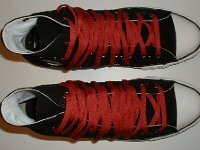 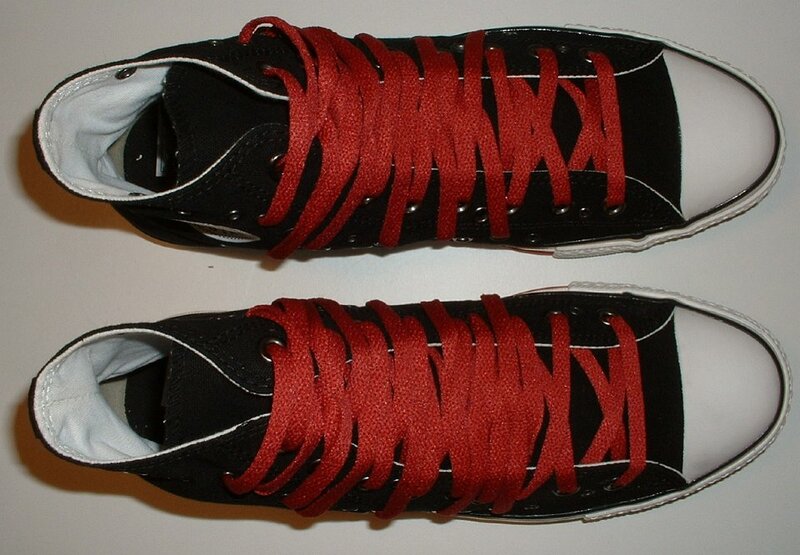 The shoes come with extra long red laces so you can try out all kinds of different lacing patterns.